Utilizing the best sealcoating equipment and accessories can save you time, money and resources. 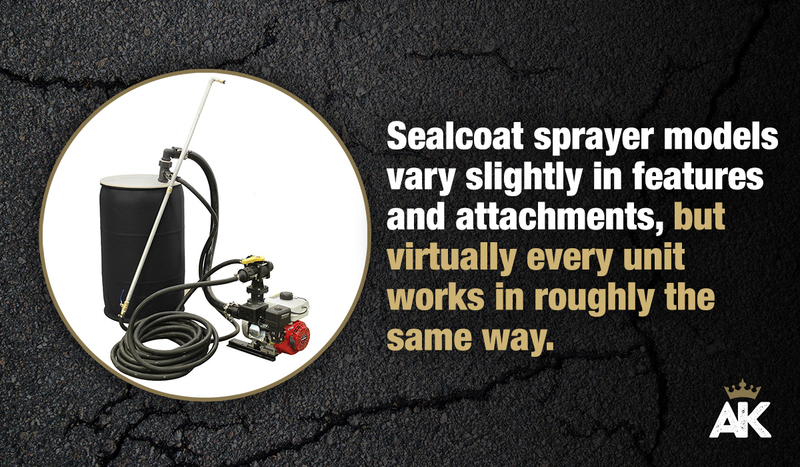 Several innovative items to help improve efficiencies and maximize productivity include the Wand Wizard Edger, spray system Filter Kit, and Truck or Trailer Mount Hose Reel. Improving efficiencies is a critical component of operating a successful asphalt sealcoating business. Correcting errors, repairing broken equipment and performing duplicate tasks expends time, money and resources better applied servicing customers and making more sales. Utilizing the best sealcoating supplies and equipment on the market can reduce waste, maximize productivity and boost your bottom line. It’s unavoidable. 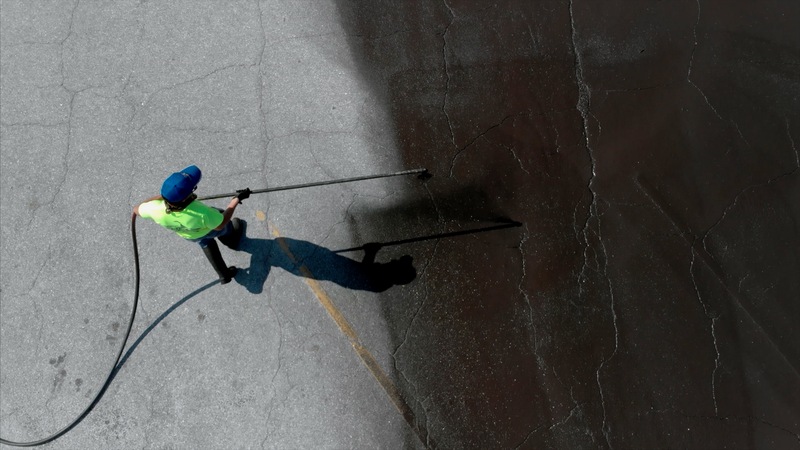 If your team is sealcoating asphalt surfaces, they’re going to come across areas that shouldn’t be covered by sealer, such as curbs, sidewalks and lawns. Without the proper accessory, trimming around these spots requires cardboard or plywood, and sometimes even another person, to get the job done right. Even then, the process can be slow and might still result in imperfections that demand even more time to correct. Lightweight, easy to maneuver and attach to a spray wand, and featuring an improved mounting bracket and system for easier replacement, the Wand Wizard improves accuracy and eliminates overspraying. No more boards, no additional team members, and no more mistakes with this extraordinary spray shield. Properly cleaning and maintaining your sealcoating equipment is critical to keeping it in top-working condition and preventing unnecessary damage and premature replacements. 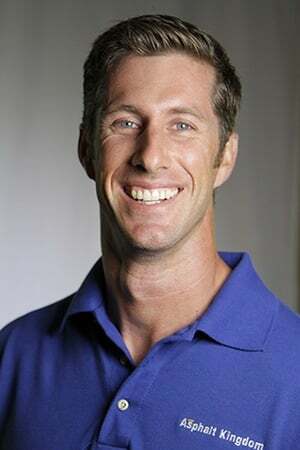 Doing so can be difficult and time-consuming, however. Sprayers can accumulate sealcoating material over time, negatively impacting pressure at the spray tip, and even clogging it entirely if not adequately cleaned. 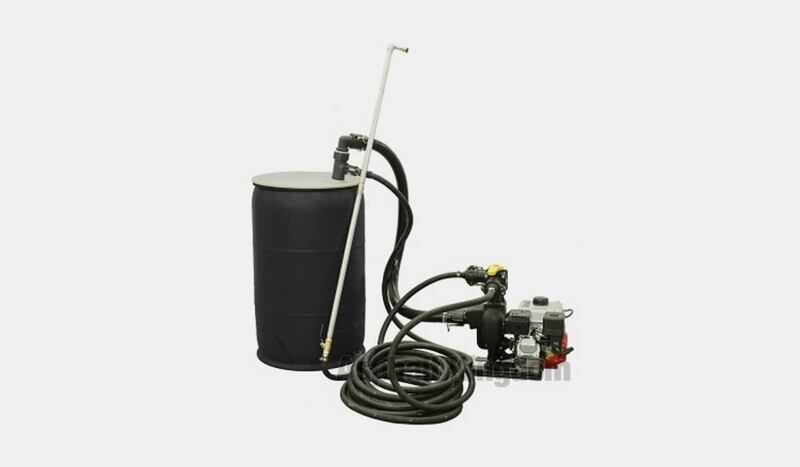 Our durable Filter Kit is compatible with a number of Asphalt Kingdom sealcoat sprayer systems and features a leak-free housing and mesh filter, reducing buildup and delivering a more uniform coating. Its open-end housing also provides quick access to the filter inside, for speedy regular upkeep. Your sealer hose is one of your most important pieces of equipment, and consequently, demands the utmost care, maintenance and storage to protect it from kinks, punctures, and the elements. Deployment and retraction can be tedious and time-consuming, but the proper hose reel can make all the difference. Our all-steel Truck or Trailer Mount Hose Reel expeditiously coils and retracts the hose and is compatible with any asphalt sealcoat sprayer. It's also compact, and the perfect fit for one-ton trucks or trailer mounts. 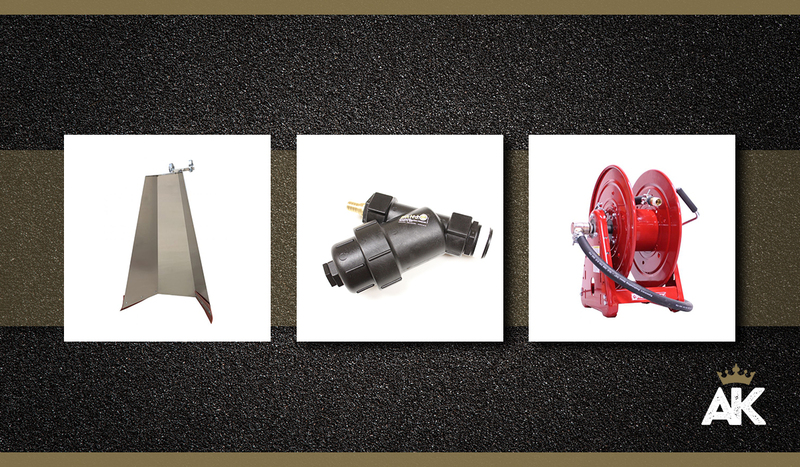 Asphalt Kingdom has all the sealcoating equipment accessories and parts you need to run a successful business. Explore our vast inventory, today.